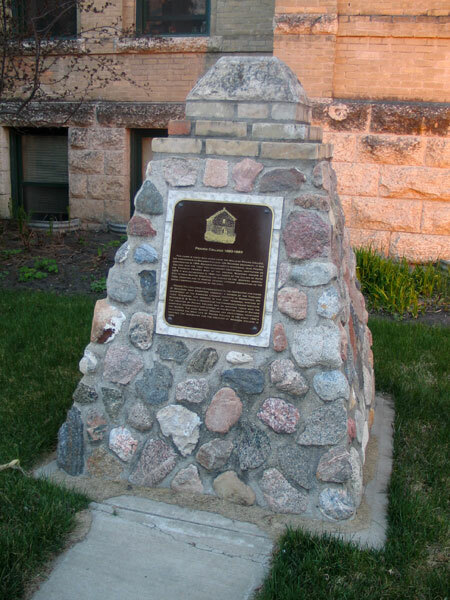 A stone monument erected in 1999 beside Brandon University’s Clark Hall commemorates Prairie College, from whose walls it is constructed. Prairie College was the first post-secondary educational institution on the Canadian prairies west of the 1870 “postage stamp” border of Manitoba. Established in 1880 just north of the Village of Rapid City, it trained Baptist ministers for service on the western agricultural frontier and provided general literary instruction to the rapidly growing population of the area. Prairie College owed its existence to Reverend John Crawford, formerly a member of the Theology Department at the Canadian Literary Institute in Woodstock, Ontario. Crawford was assisted in the venture by Reverend G. B. Davis, a graduate of the Canadian Literary Institute. The college was created with the unofficial endorsement and support of the Baptist Union of Ontario and Quebec. In 1883, the college was incorporated into the new McKee Academy under Reverend S. J. McKee which, in 1890, was relocated to Brandon. The same Baptist idealism and educational traditions that shaped the brief life of Prairie College provided the inspiration for the establishment of Brandon College. Brandon College was formally established by the Baptist Union of Canada in 1899 and became an affiliate of Ontario’s McMaster University in 1910. Financial difficulties forced the Church to withdraw its support in 1938, after which Brandon was incorporated as a non-denominational college of the University of Manitoba. Brandon University was established as an independent institution in July 1967. 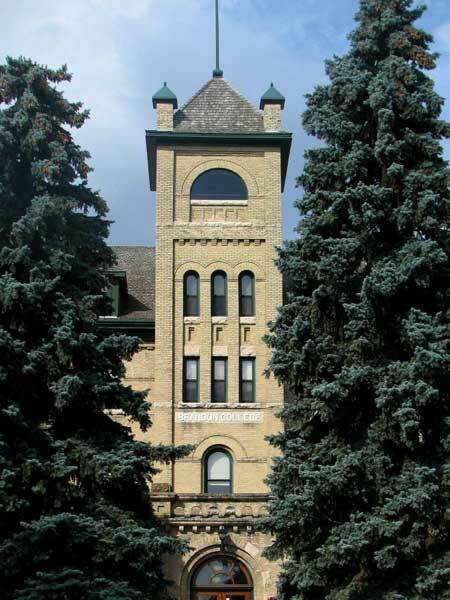 The original Brandon College building, designed by Winnipeg architect Hugh McCowan, was completed in 1901. 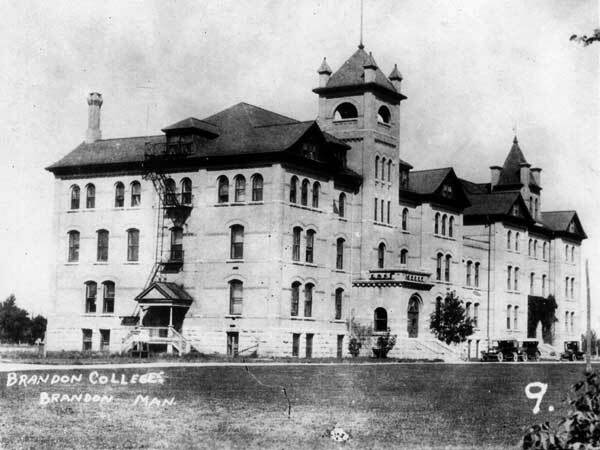 Although resembling other educational structures being constructed in Winnipeg during this period, Brandon College was a somewhat larger, more dignified and distinctive structure. Built of locally produced brick and Manitoba limestone, this imposing edifice displays a handsome Romanesque tower with graceful arches and small turrets at each corner. A commemorative plaque at the site was erected by the Manitoba Heritage Council. An Honour Roll at Brandon University commemorates students of Brandon College killed during the First World War. Brandon College and Clark Hall Buildings, Manitoba Historic Resources Branch. This page was prepared by Christian Cassidy, Darryl Toews, and Gordon Goldsborough.